Whether you’re a smoker, drink coffee or just enjoy a large variety of foods and drinks, chances are that your teeth will become stained over time. Natural staining occurs as a person begins to age, but it can be exasperated by what we eat and drink. Unfortunately, when your smile begins to darken or yellow, it can have you feeling badly about your appearance. 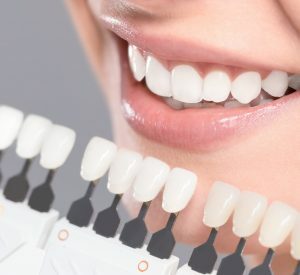 Professional teeth whitening is crucial for getting rid of those stains and discoloration so that you can finally love your smile once again. Professional teeth whitening is designed to get rid of stains and discoloration from the surface of the teeth. Because high-quality whitening agents are used, even deep set-in stains can be removed in a very short period of time. You will find that your teeth go up anywhere from four to eight shades when having whitening done and the results last for years with proper maintenance. Who is the Right Candidate for Teeth Whitening? 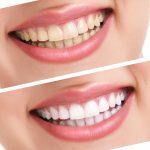 Virtually anyone who is unhappy with their smile and wants to get rid of stains and discoloration will benefit from professional teeth whitening. Before having the procedure done, you can come in for a consult and exam to determine if you’re a viable candidate. If you want to whiten your teeth, contact us today!